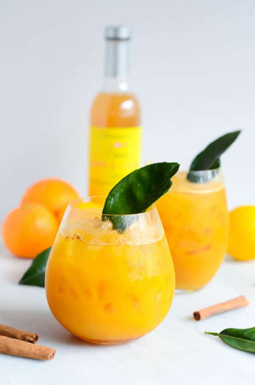 Honey Citrus Elixir - A recipe from Savor California, the online showcase for extraordinary gourmet foods and beverages from California. A fun, healthy and delicious mocktail that will boost your metabolism and deliver a healthy punch of Vitamin C. Recipe and photo courtesy of CaliGirlCooking. Combine all of the ingredients in a cocktail shaker with ice. Shake vigorously for about 20 seconds, then pour into a glass.